Richard T. Choi (Vice-Chair 2012-2018) (member 2011‐), of McLean, Va., is a shareholder and co-chair of the Securities & Investment Companies Industry Group of Carlton Fields Jorden Burt, P.A. For over 30 years, Mr. Choi has advised investment advisers, broker‐dealers, life insurance companies, mutual funds and other investment companies on federal and state securities and insurance compliance and regulatory matters. 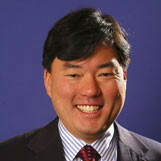 Mr. Choi’s experience includes advising investment company boards, independent directors and trustees, and special committees of directors and trustees, and counseling clients on the development and distribution of sophisticated financial products, such as variable annuities, variable life insurance, and face‐amount certificates. Mr. Choi earned his B.A. at the University of Chicago and his J.D. at the University of Virginia School of Law. His philanthropic activities include endowing the Richard Choi and Claudia Perry Odyssey Scholarship Fund at the University of Chicago.